Serving San Luis Obispo County Real Estate! 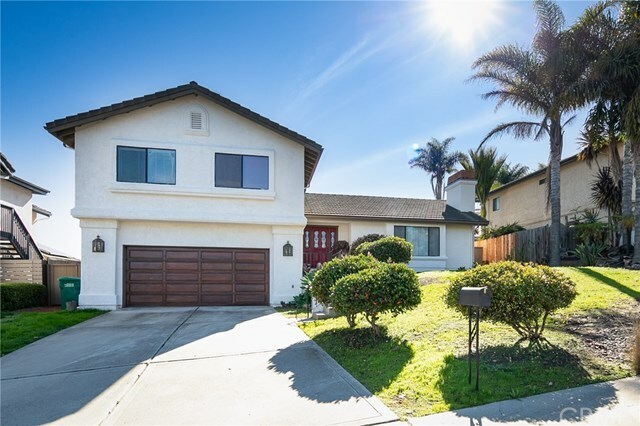 Great 4 bedroom, 2.5 bath tri-level home located near Laguna Lake, Laguna Lake Golf Course, Irish Hills Natural Reserve, with hiking and biking trails with nearby shopping and restaurants. The entry level features French door access to the formal living room with fireplace, the dining area and kitchen with breakfast bar and nook. The floor plan allows for a great flow, ideal for entertaining with stairs from the kitchen leading to the family room featuring a half bath and access the back patio. The 4 spacious bedrooms including the master suite with dressing area, soaking tub and separate shower enclosure, are situated on the upper level which includes a laundry chute. Plenty of room in the back yard for gardening, kids to play, or BBQing with the built in Santa Maria style grill. Just minutes to downtown San Luis Obispo, Morro bay and Los Osos. Sign in to take advantage of all this site has to offer. Save your favorite listings and searches – also receive email updates immediately when listings you like come on the market for FREE (and at no obligation)!